When Juliet Montague's husband disappears, so does she. As far as the conservative Jewish community in which she lives is concerned, she is invisible. She does her best to conform to their rules, but then on her thirtieth birthday she does something unexpected. Instead of the fridge she has scrimped for, she impulsively spends her savings on a portrait of herself. It is the first in a series of portraits that punctuate Juliet's adult life as she joins London's lively post-war art scene and proves to be an astute spotter of talent. 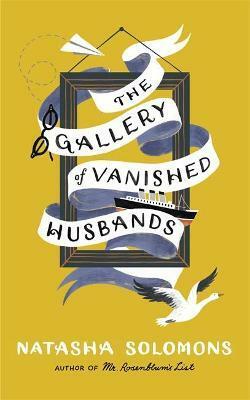 Yet she remains an outsider in both her worlds: a mother of two, drawn to a reclusive artist who never leaves Dorset, and unable to feel free until she has found her husband - a quest that leads her to California and a surprising discovery. Absorbing, intriguing and richly evocative, this is the tale of one woman's life and an unusual emotional journey, each stage hinged on a painting. It is a bravura performance by a highly talented young author.